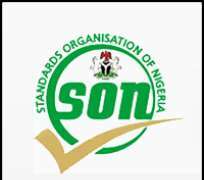 The standard organization of Nigeria in collaboration with the Nigerian Association of small scale industries (NASSI) held a two day Congress and Exhibition, which started on Tuesday, in Abuja. The event was aimed at showcasing the potential of the Association, and also to sensitize both the public and it's members on the potentials the Association can bring to the country. The acting Director General and Chief Executive of the Standards Organization of Nigeria, Paul Angya, expressed that the support of NASSI was not a one-off thing but had been since 2015, and would continue even after the conference. Angya said that the programme was designed to educate members of the association on their collective responsibility in determining the performance to the sector through the production of quality products. He also said that on the organization's part in the federal government goal of diversifying the economy, SON has refocused it's campaign towards Agricultural and Agro-allied products. Engr. Ezekiel Essien, President NASSI said "the aim of this conference is to showcase the potential of NASS I in our economic diversification drive for growth, job generation and weather creation." He explained that the challenges of NASSI, such as financing and packaging for exports are one of the main reasons in putting the conference together. NASSI acts as a special purpose vehicle and catalyst in implementing Government industrial policies and programs.